I’m sure you have many other questions as well. 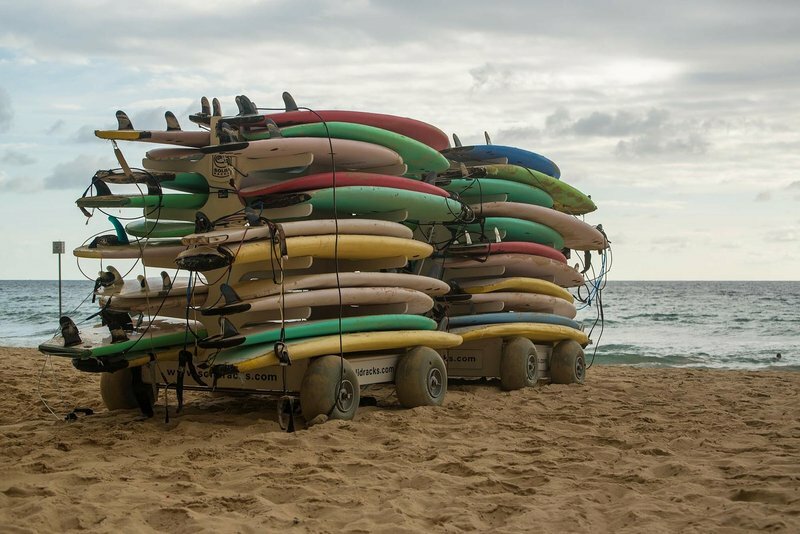 Are surf camps some kind of campsites? Do I have to stay in a tent? Do I have to be a surfer to join one? Do only beginners attend them? You may also think that what happens on a surf camp stays on a surf camp. Well, not in this case! 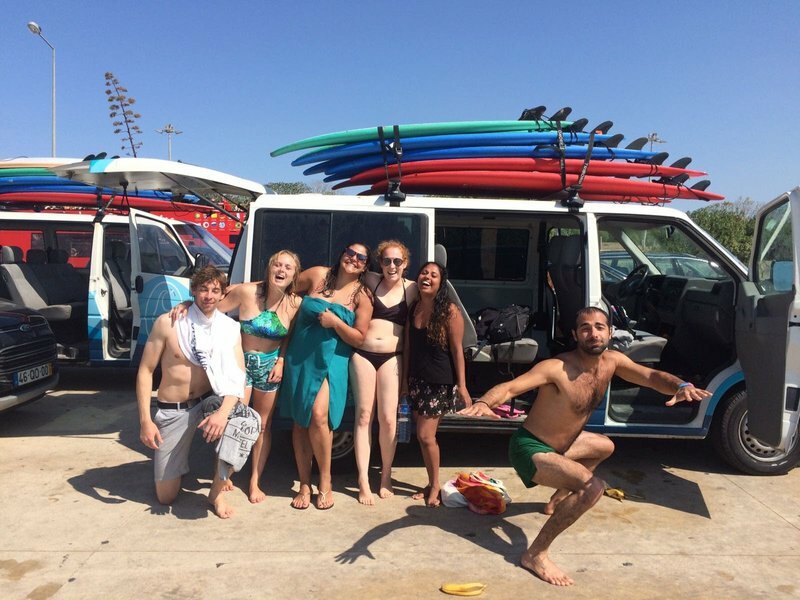 Our very own team member, Koosha, recently went on his first surf camp and spilled the beans on his experience. Let’s get down to the nitty-gritty and hopefully answer your questions and get you ready for your first surf camp! 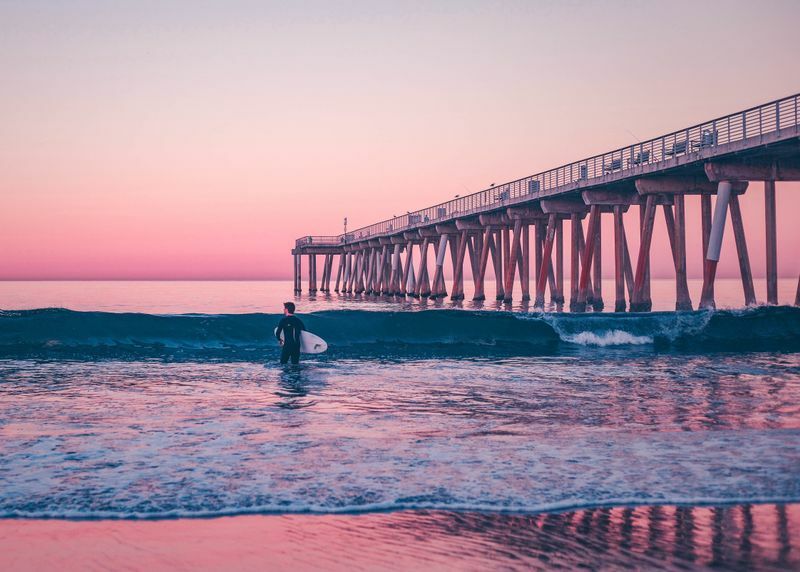 How did you decide on your surf destination? I wanted a different type of holiday, and I only had one week to spare. I have traveled to many European countries but somehow never made it to Portugal. It has always been on my bucket list, and I thought that I could take this opportunity to try something new while being there. So I told myself that a surf camp in Portugal would be fantastic! 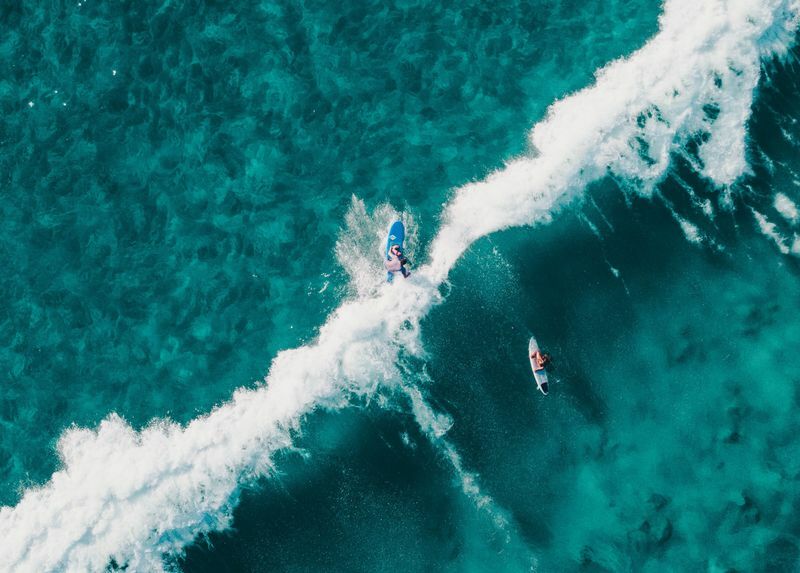 How did you choose your first surf camp? I went on to BookSurfCamps.com and filtered based on the country. I looked for listings with the most reviews. I read the ‘verified reviews’ comments only and chose the surf camp with the best ones. I was not disappointed – the surf camp was everything I hoped for and more. The majority of participants were youngsters, mostly students, and on a tight budget. 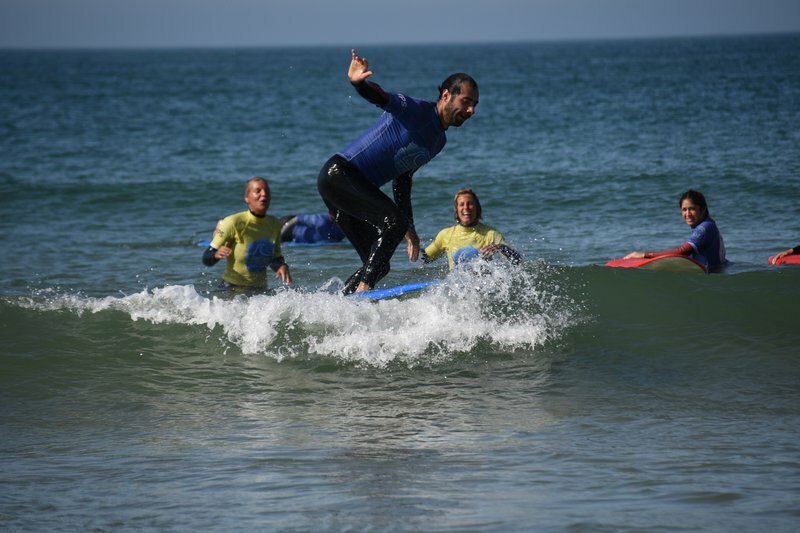 I found this 8-day surf camp in Cascais, which is budget-friendly indeed (starting at €364 for 8 days/7 nights), but that was not my main criteria when doing my research. I just wanted to be in a nice place that had great reviews so that I could enjoy every moment. Not spending too much money on it came as a bonus! 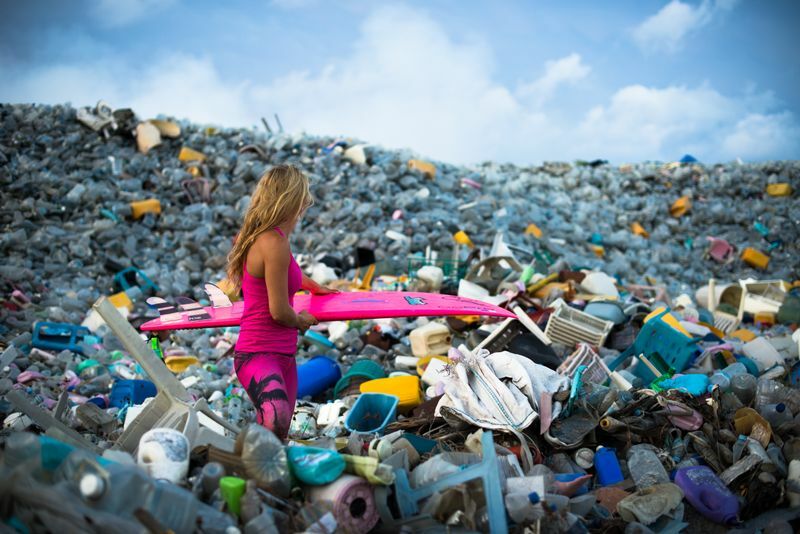 Have you ever surfed before? I only took a one-day surfing lesson in the Netherlands the year before. I really liked it, but it was November and the water was pretty cold so I decided to not continue with my classes. So, I can honestly call myself a complete beginner when it comes to surfing. 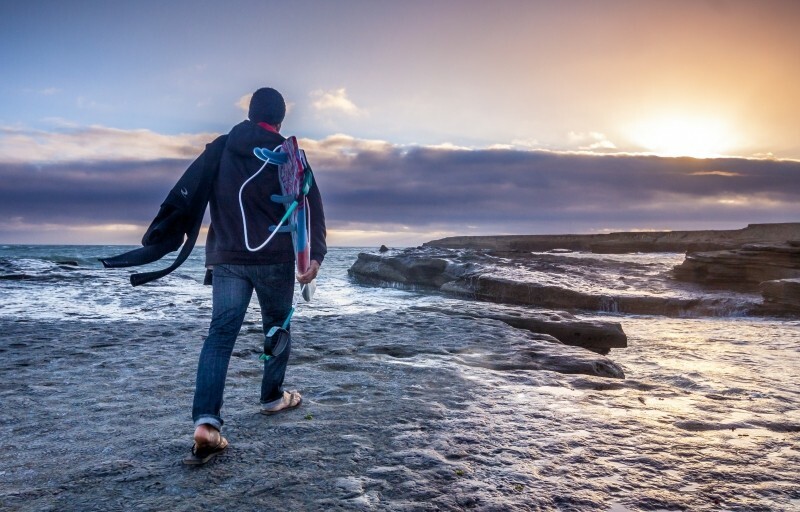 Why did you choose a surf camp instead of traveling on your own? On a surf camp, the instructors are by your side all the time. They show you which types of waves to catch, they tell you your mistakes and what you should have done differently in order to succeed. Having an instructor by your side helps a lot. Otherwise, you won’t even know where to start. 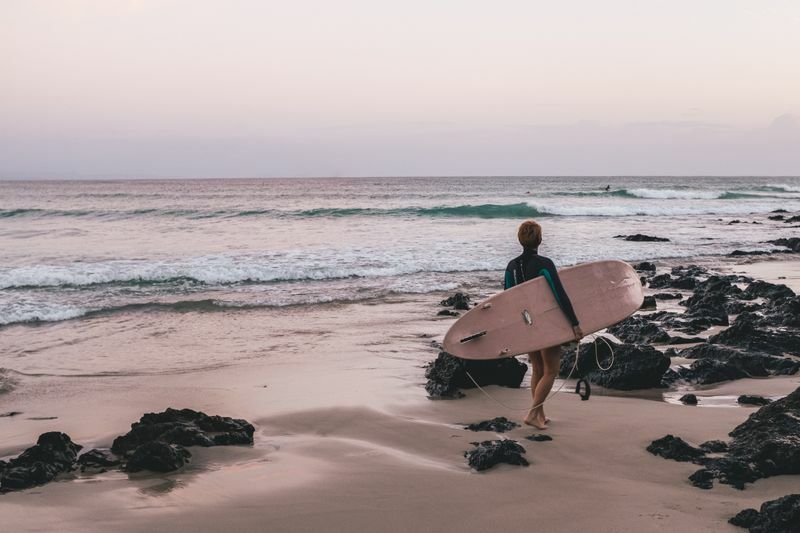 What’s more, renting the surfing equipment and paying for lessons will have you spending even more money than you would when joining a surf camp. 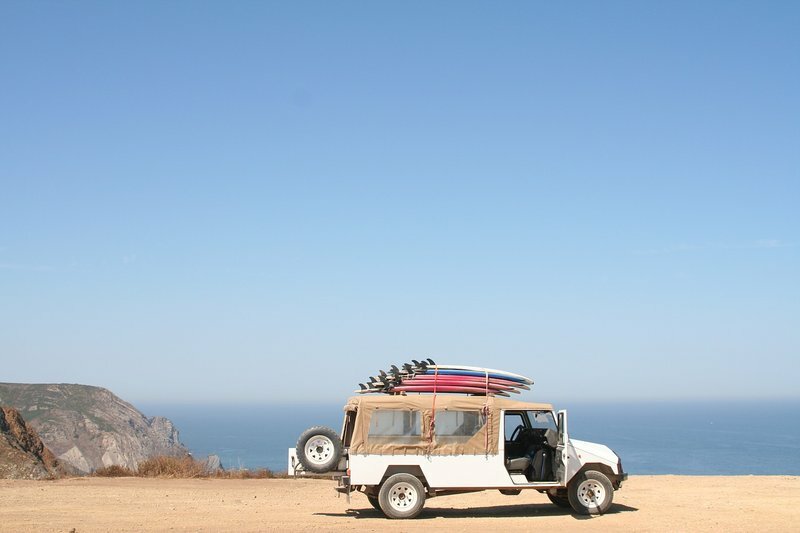 Here, everything is taken care of – the equipment, instructors, program, transportation to and from the surfing spot. 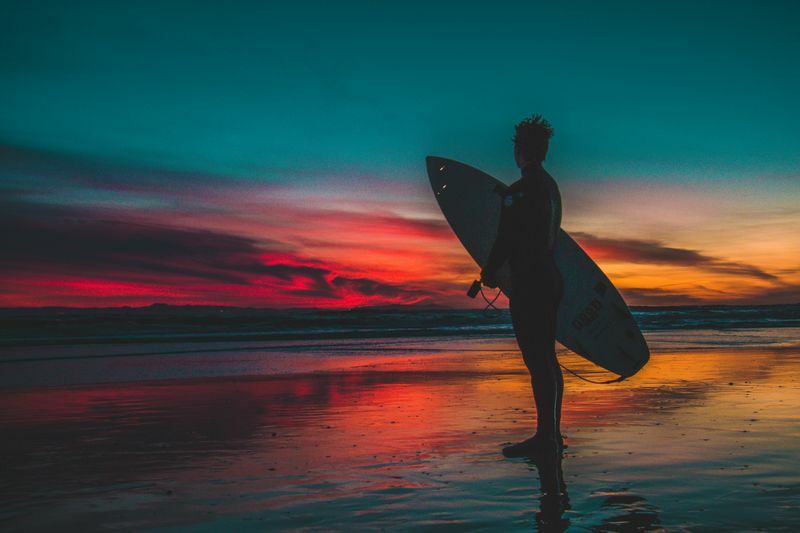 You have plenty of time to relax and can make the most out of your surfing lessons. I would definitely go on a surf camp again to brush up on my skills before I venture out on my own. Can you tell us a little bit about the surfing sessions? There are 4 to 5 people per instructor. The majority of participants were beginners – I’d say that 70-80% of them had no experience whatsoever. There was also a group of intermediate surfers. 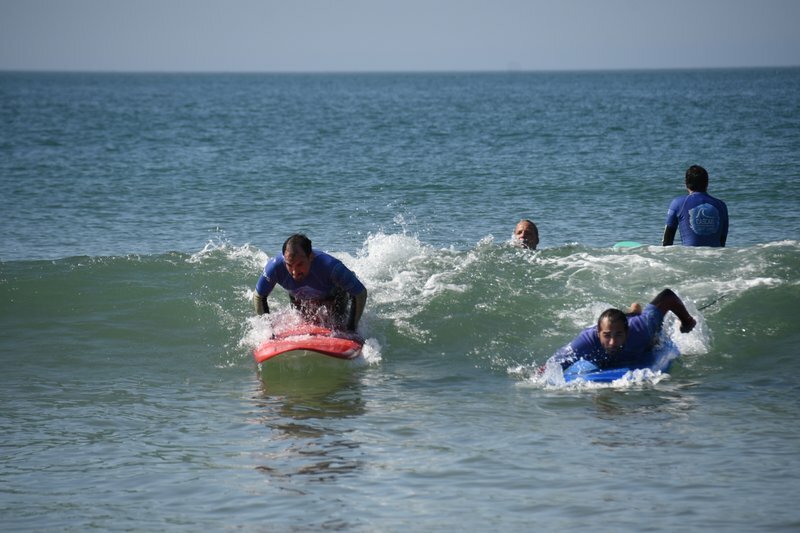 The group had a separate instructor and ventured on bigger waves. The surfing sessions were around two hours long. I’m talking about two hours actually spent in the water! Add to that the time it takes to get to and from the surfing spot, the warm-up and on-beach instructions, and the whole thing can last about three hours or more. If you think that two hours are not enough, think again! In fact, for some people, it was too much. They would become exhausted after an hour and a half and spend the rest of the lesson resting on the beach. Learning a new skill is challenging, both mentally and physically. The force of the ocean, the effort you put into standing on the board and fighting the currents can literally drain you. Also, the water was not that warm. In September, water temperature was around 16-17 °C (60-62 °F). Luckily, the weather was lovely, and the air temperature stayed around 27-28 °C (80-82 °F) during the day. If your fitness levels are top notch, then you can book extra lessons in the afternoon. I did so on the first two days at the camp but soon came to realize that one lesson was enough for the day. 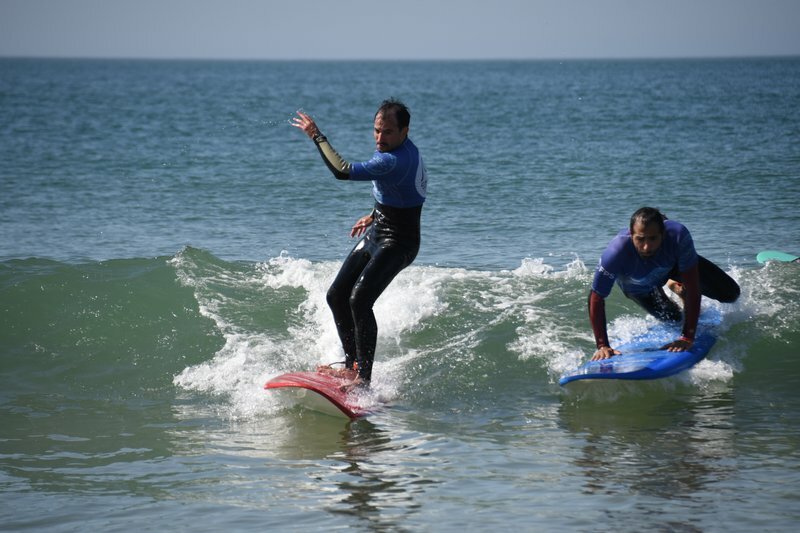 Are you able to actually learn to ride waves during a surf camp? It depends on how long the surf camp is. 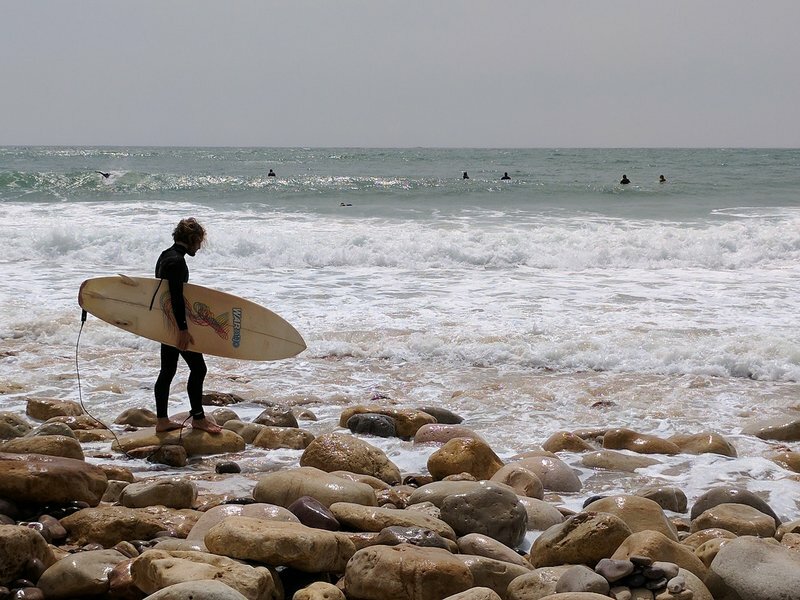 At the end of a week-long surf camp, I was able to stand up around 80% of the time. This is why I personally recommend a surf camp that is at least seven days long in order to learn all the basics. Drawing from my own experience, I believe that you can only start practicing by yourself after at least one week of surfing lessons. 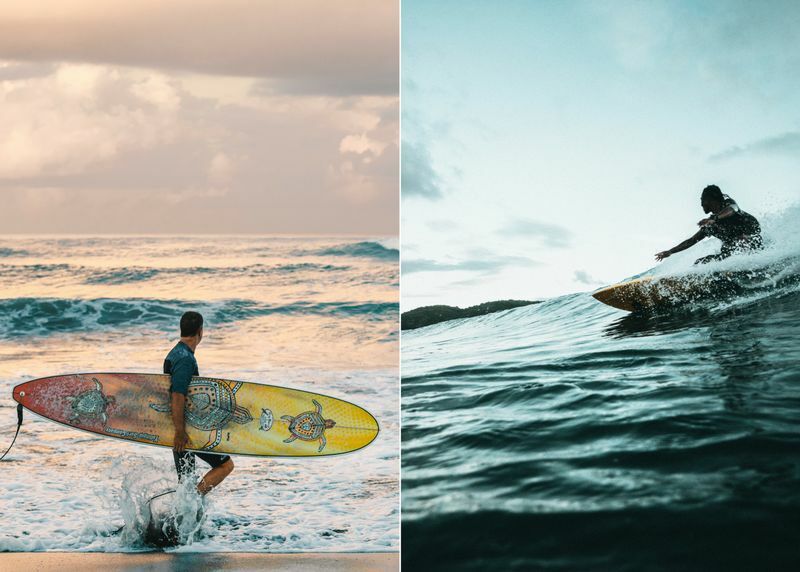 What does a day at a surf camp look like? 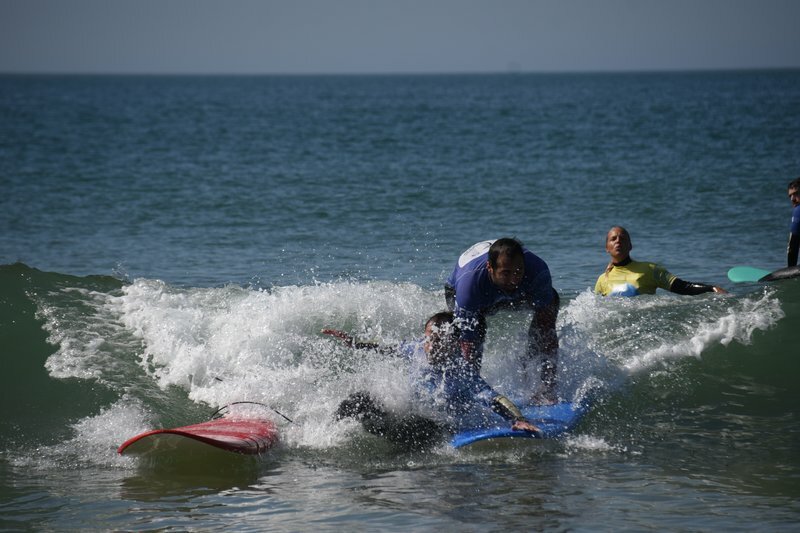 Depending on the tide, forecast and surfing conditions, the instructors would announce the time of departure for the next day. You wake up, go for a run on the beach if you like, grab some breakfast, then go to the van and head to the surfing spot. You can spend the rest of the day however you wish. Some people would go mountain biking or visit the nearby sights. You can simply chill at the beach or you can go stand-up paddling. I had two free days during my stay, and I spent those actively. On one day, I took both a SUP session and a yoga lesson. On the other day, I visited Lisbon, where I met up with a friend of mine. I went on this surf camp alone and I did not know anyone there. But, at the end of the week, I had already made friends with the majority of the other participants, with some other travelers staying at the hostel as well as all the instructors! Now that you know what happens on a surf camp, are you ready to take the plunge and start riding those waves? 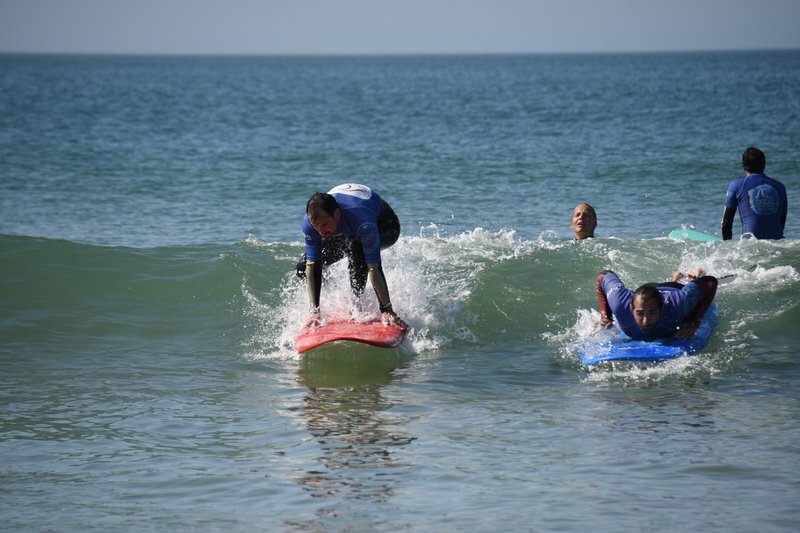 Choose a surf camp for beginners in an amazing destination!